Sugar is everywhere and can seem almost impossible to avoid whether you are eating a sweet treat or sitting down to a delicious homecooked meal. Often, we don’t even realize how much of what we eat contains sugar, as many foods, especially processed foods, contain large amounts of added sugars. Food companies add sugar to their products for several reasons. Because we are so used to eating foods that are sweet, companies add sugar to food to make it taste good and appeal to our modern pallet. It adds to taste, texture and can even give food a longer shelf life. Sugar is also added to foods because it has addictive qualities, making us want to eat more and continue to purchase more food. Although sugar is widely used today, it is one of the most detrimental additives to our diet. It may taste good, but it leads to weight gain and obesity. It can increase our risk for life-threatening diseases, such as cancer, cardiovascular disease, and diabetes. It damages our teeth, impacts our liver and raises our cholesterol. Understanding what is in the food you are eating is important, especially if you are buying packaged food or eating out. If you are purchasing food that is packaged, be sure to take a look at the nutrition label to see how much sugar (and added sugar) is contained within each serving. It is important to recognize how much of that food you are really eating versus the recommended serving size. The serving size on the package rarely reflects how much we really eat. Knowing the nutritional value of the food you are eating is important, and if you are part of Team Possible, you’ve seen us break down the calories and macros in each of our recipes. High Fructose Corn Syrup: You’ve most likely heard of this sweetener as there has been a lot of controversy on it throughout the years. It is one of the leading sweeteners that cause weight gain because it is so easily converted into fat. It is also present in so many processed and packaged foods that we eat that it can easily be overconsumed. Although it is so commonly used, it has been directly tied to obesity and the development of Type II Diabetes. Check your ingredient label next time you purchase packaged food. Sucrose: Sucrose is a common sugar that we more commonly know as table sugar. It is also commonly added to foods that we consume. It is added both in the processing stage, and it is a common sugar that we add ourselves. This is the sugar that we often add to baked good, teas, coffees, and other various drinks and treats. Aspartame: If you’ve eaten diet food or diet drinks, chances are this is the sweetener that has been used. This sweetener comes with a lot of controversial research, with some claiming that it is damaging to your health with links to cancer. One thing that it does do is trick your body into thinking it is hungry and often can lead to higher calorie consumption. Sucralose: You may not recognize it by its official name, but you most likely will recognize it by its more commonly used brand name: Slenda. This sweeter is typically used in place of sugar because it is seen as a “low calorie” option. However, that doesn’t mean that it is any better. This sweetener is commonly added to foods and another reason you should check the ingredient label on the foods you are consuming. This sweetener, although low calorie, has been shown to have little effect on weight loss and can damage the balance between good and bad bacteria your gut. Balancing your gut bacteria can affect your immune system, digestion and can reduce your risk of disease. Stevia: This sweetener is sweeter than sugar and is all natural. It comes from the Stevia plant and contains virtually no calories. If you are looking for a no-calorie sweetener, this is a good alternative and can be used in place of sugar, whether you want to sweeten a drink or use it in baking. You may have also noticed that stevia is becoming more widely used and can easily be found at your local grocery store. Even many restaurants are beginning to carry it as an alternative to sugar and artificial sweeteners. Xylitol: This is another natural sweetener with zero calories that can be found at your local grocery store. It is an excellent alternative to unhealthy artificial sweeteners and a low-calorie alternative to natural sugar. We all know that sugar is bad for us, so why do we continue to over-consume it? Chances are, you may not even realize how much sugar you are consuming on a daily basis. Sugar is simply everywhere and can be difficult to avoid, especially if you consume packaged and processed foods. Almost every packaged food out there is full of added sugars, and not for the benefit of the consumer. 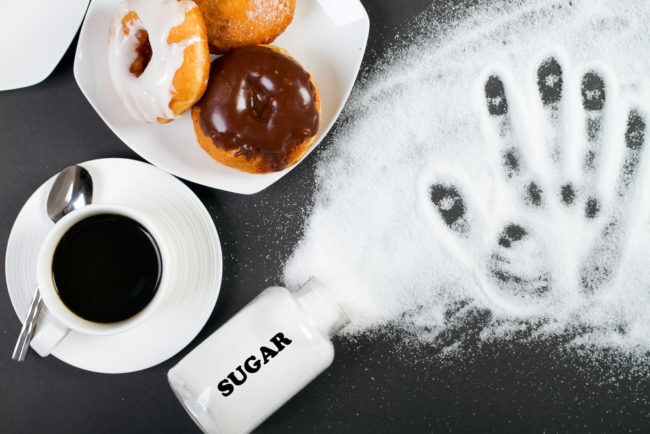 Sugar has become part of our everyday lives. In the past three decades alone, we have increased our sugar consumption by 20%. 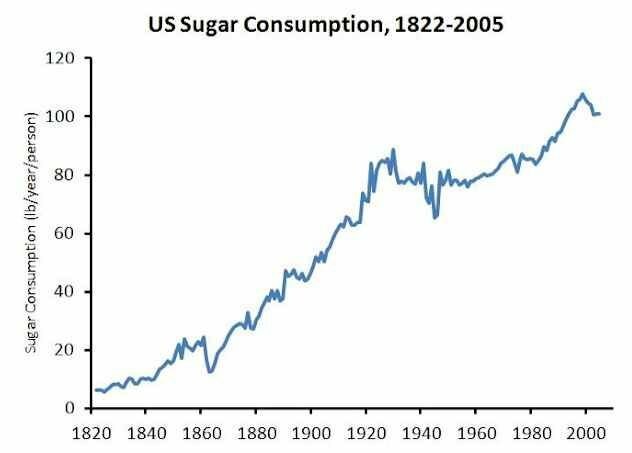 In fact, the rise of obesity, diabetes and heart disease can be tied to this rise in sugar consumption. So why are we addicted to sugar? One reason we become addicted to sugar is that it triggers our brain’s reward system, in similar ways that use drugs and alcohol can. When you eat sugar, your brain releases dopamines and makes you happy. This causes you to want to consume more. Many studies even compare the addiction to sugar to be similar to that of cocaine. Another reason we crave sugar is that we actually need it to function. Our brain uses glucose to properly function, and so your body naturally craves it. However, you do not need to consume sugar to consume glucose, as it is present in the natural foods that we eat. Although your body craves sugar because it requires glucose, your cravings do not mean you have a glucose deficiency. Therefore, there is no need to seek out sugars for nutritional value. Whether you have a sweet tooth or not, we all have moments where we crave something sweet, and we want something sugary. Sugar can make us happy, gives us a boost of energy, and simply tastes good. But we all know that sugar isn’t good for us and that these positive aspects of sugar are short lived. Consuming too much sugar can lead to weight gain, an energy crash and in some cases depression. Just because sugar can be addicting, doesn’t mean there aren’t ways to stop your sugar cravings. If you are not drinking enough water, it could increase your sugar cravings. The reason this occurs is that dehydration can cause an imbalance of hormones, which can result in false feelings of hunger and cravings. Next time you are craving sugar, try drinking a glass of water instead and be sure to stay hydrated. Avoid sugary drinks. When you consume more fiber, it slows your absorption of the foods that you eat and keeps you full longer. When you are full, you are less likely to crave more foods, including sugar. An increase in fibrous foods, such as vegetables, will decrease your cravings and overall consumption of sugary foods. It can even lead to lower calorie consumption and weight loss. Like fiber, lean protein can keep you feeling fuller longer. It can also help balance your hormones and keep your sugar cravings at bay. Be sure you are eating plenty of lean proteins, such as chicken, white fish, shrimp, and egg whites. When you are craving sugar, reach for a better alternative, such as a piece of fruit, nuts, and seeds, or veggies. Try to avoid unhealthy sweets, such as baked goods and candies. If you are going to eat something, be sure it is healthy instead of loaded with sugar and artificial ingredients. Reach for something natural. We often use artificial sweeteners to avoid using sugars that are full of calories, but these can actually strengthen our dependence on sugar and increase sweet cravings. If you want to cut out sugar cravings, you need to cut out artificial sweeteners. If you need to sweeten a food or drink, but don’t want the added calories, use one of the recommended sweetener alternatives, stevia or xylitol. It can be difficult to limit sugar consumption, especially when it is in almost everything we are used to consuming. To remove the guesswork from your diet, sign up for a Custom Meal Plan, so you know exactly what you are eating without fear of added sugars. And, if you are a member of Team Possible, you get support and a deeply discounted meal plan. Sugar is bad for us. We know that, and there are real reasons why we can’t seem to stay away from it. But this doesn’t mean there aren’t things we can do to minimize our cravings and reduce our sugar intake. There are even better alternatives than the sugars that we are used to using in our foods. We don’t need to consume sugar and hen you reduce your sugar intake you will better your health and lose weight.